First wash since the winter started and she looks like new again! “Clean MyRide does what it says. No before photos but this is the first wash since the winter started and she looks like new again. Very good product! Road grime, bug splats, tar spots and off-road gunk gone! “3690 miles worth of European road grime, bug splats, tar spots and off-road gunk gone, thanks to Clean MyRide cleaner & degreaser. Superb product…more effective than #Mucoff or #WD40 brand and much cheaper than #SDOC100. Big thanks to Jack and all our customers for kindly writing reviews – always massively appreciated. 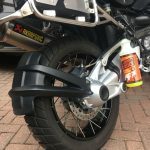 “I used your product this morning on my extremely dirty #BMW #R1200GS. 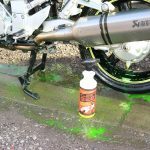 I have to say this is one of the best #motorcycle #cleaning products I’ve ever used. I rinsed the bike first, sprayed the solution and then agitated with a soft brush. After leaving for about two minutes I rinsed with cold water. The pictures speak for themselves. “Gave my work van the once over with Clean MyRide today. Very impressed with the results. It made short work of the fiddly spokes on the alloys, diesel spillage around the filler and worked wonders on the rubber floor matting which is also a pain in the arse to clean. “Both my work and play bikes needed cleaned. I don’t normally do reviews for anything. If I buy a product I expect it to do the job its designed to do. Clean My Ride is a product that I’ve used from near enough the launch. It cleans and degreases so much better than I’d expected. I can and do spend hours cleaning and detailing my bikes but this product makes is so much quicker. Spray it on leave it for a couple of minutes and the dirt and grease start to fall away. A quick blast from the hose washes it off. There is no residue and it leaves no corrosive marks on my metal work. Previous products have left these marks on my titanium exhausts. The exhaust on the scooter which catches all the road grime comes up like new. It’s an 11 year old bike. It’s safe for the wheels, metalwork and painted surfaces. I’ve also used it on my cars. My only fault is that the two bottles I’ve had are now empty and I will have to restock  . I can highly recommend this product. Go on, buy a bottle. You won’t be dissappointed“. 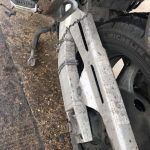 “After a recent visit to the #KAMG (Kent Advanced Motorcyclists Group) I thought I would give the “Clean MyRide” product a road test. I like to use waterless cleaners with microfiber cloths when on general clean down. When the bikes are really grubby I will give them a wash and a light jet wash. I put Clean MyRide to the test. Must say that I am very impressed not only as a #degreaser but as #cleaner as well and even more impressed with the streak-free, non-staining finish. It does smell nice as well and the green colour lets you see where you have applied so you don’t miss or duplicate. Having used other products in the past and industry standard products from the motor trade, it gets my thumbs up”. 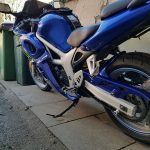 “I am a motorcycle instructor so I use my bike all day every day and as you can imagine it gets very dirty constantly and constant cleaning takes a lot of time “until now”. 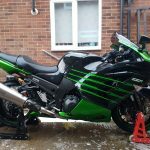 I finished work early today so I thought I should clean the bike so I popped home to grab a bottle of Clean MyRide and I went to my local Petrol garage that has a jet wash “£1 for 3 minutes”. I started spraying away and I love the colour first off and I just left it to sit, so I stuck in my pound and the results speak for themselves . This has been the first time of using a product that actually does what it should and it made my life so much easier and faster with a great result, I didn’t have to agitate it or have to apply twice I just sprayed, left it and washed off. If you want a cleaning product that actually works first time then try this product, it cleans, degreases and doesn’t leave any white residue like other alkaline cleaners do when dry. Pictures are at the Petrol garage then rode back to my garage for the after results”. “So my thoughts on Clean my Ride. Well let’s start by saying that when I bought the bike in October it was in a state and needed to be deep cleaned. It took 4 hours and I was pleased with the results. Now on to today…… moved bike so I could get all the way around it. Rinsed off the bike and then sprayed on Clean my Ride. After 3 minutes I used my soft brush to get the worst grime loose. Rinsed off the product and then wiped down with micro fibre towel. “Absolutely love this stuff. I used to used Mucoff but I never really rated it as a decent cleaner. I met one of the guys up Bangers cafe on top of Detling hill and he demonstrate what it can do on his car. Long story shot, I walked away with a bottle of this and used it on my bike, broke down all the grease and dirt and it literally fell off. This product is fantastic to use for an in-depth clean or a quick wipe over. However you want to use it really”. “Two weeks worth of bad weather road dirt to clean off. I sprayed it on, let it sit for a minute and just hosed my bike down. Absolutely brilliant! “Works very well on all surfaces without damaging sensitive alloy finishes, highly rated”. 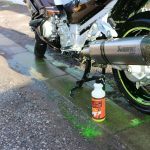 “I’ve used your cleaning spray on my bike for the first time today and it is very good as i usually use muck off but Clean MyRide seems better…. impressed”. I’ve used a few different bicycle cleaners and found they rarely live up to the promise. They usually smell horrible and leave your hands feeling weird. Clean my ride is different though. It smells nice but more to the point it actually does what its supposed to do. It’s particularly hard to get a bike looking decent around the chain/sprocket area but this stuff does the job really well. Its not the cheapest product on the planet but in this life you get what you pay for and this is the best I’ve used in terms of effectiveness and value for money. My bike looked genuinely clean for the first time since I purchased her! 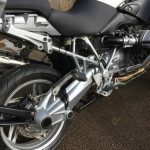 “Let me start by saying that I know there are lots of people that enjoy cleaning their bikes, they find it therapeutic and relaxing to fine polish every nut, bolt and detail…I am not one of those people. I find cleaning of any scale or form abhorrent and tedious and instead prefer to get the entire process out of the way as quickly and painlessly as possible with a true ‘that’ll do’ approach! Having tried numerous cleaning products (the most common of which rhyming with yukoff) I have found that all solutions leave a plethora of water marks and residual grime when subjected to my somewhat rushed and careless washing technique; resulting in me wasting my time for my bike to still never really look clean and pristine. I can confirm however that Clean MyRide is a truly remarkable product. I followed the instructions…a first in 10 years for me. Wet the bike, sprayed on the product and went in to make a cup of tea. 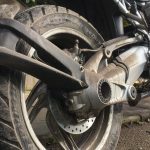 After returning to my bike I could see the dirt beginning to run off, even without agitation, and proceeded to sponge down in my patented quick and haphazard fashion, spending no more than two minutes of time on actual cleaning. A quick rinse with the hose and I went back inside to drink my aforementioned cup of tea, which was still piping hot. After finishing said tea I wandered back outside with a cloth in order to wipe down and remove any errant water stains, and to the greatest surprise of the day there was not one anywhere, and my bike looked genuinely clean for the first time since I purchased her. Highly recommend everyone gives this a whirl, you won’t be disappointed! “Brilliant stuff, used it on my bikes at the weekend and it works a treat. The colour of it is excellent too so you can really see where it goes. Highly recommend everyone gives this a whirl, you won’t be disappointed”. Economical to use, very effective and no streaky white lines! “I’ve been using Clean MyRide for nearly two years as a product tester. 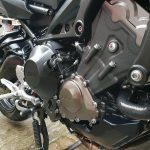 I cycle around 120 miles week to work and back, cleaning my bike lightly once a week, with a major degreasing clean once a month on all mechanical parts. 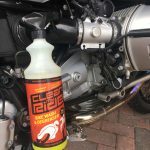 Clean MyRide has outperformed every bike cleaner I have used and, with its combined cleaning and degreasing, I only need to use this one product. It works perfectly and lasted for ages”. 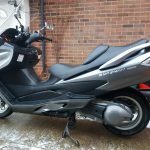 “A few weeks ago was greeted in the shop by Paul from Clean MyRide. He had with him a new bike wash product that they had produced locally. He was keen to tell me all about the benefits and the amazing cleaning properties of their great new cleaner. Now having been in the trade for 15 plus years I was very much ‘yeah yeah I’ve heard it all before‘ so Paul kindly left a 1 litre sample for me to try. A couple days later after a muddy ride I decided to try it out on my own bike. I normally use a degreaser on the drive train and a well-known pink bike wash on the rest of the bike. But I’d been assured the Clean MyRide wash worked well on the drive train also. So I set out cleaning the bike, I used Clean MyRide sparingly over the entire bike and allowed it to do its thing for a couple minutes. Then after hosing the bike down I was pleasantly surprised. The drive train was extremely clean and the rest of the bike came up like new. At that point I knew I had to eat my words!!! I called Paul and requested a shop sized container as I now only use Clean MyRide on customers bikes and my own. In all, a fantastic product that is locally designed and produced and does exactly what it claims”. “I write in reference to your product Clean MyRide introduced to me by a friend and ally in the motor industry. 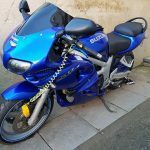 As a keen motorcycle rider I was eager to try it out and when I did was most impressed. Having used other products of this nature in the past I felt it surpassed them by some margin. It’s ability to break down (safely) soiled deposits, traffic film, grease and oil then wash off streak free and shiny was not only very effective but time-saving as well. 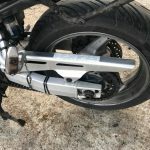 I will continue to use this product and certainly recommend it to others in the motor and motorcycle world. 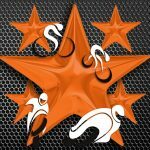 “5* product… would highly recommend… I cycle 30 miles a day to London in all weathers and my bike gets hammered with dirt and grime. I’ve used many products to clean my bike, especially my chain and Clean MyRide has to be my favourite. 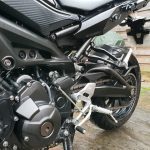 Tried this product and was amazed at the results… cleans the frame effortlessly and the chain is a breeze… I use it once a week to keep my chain in top condition ( always dry and lube it after a wash) its brilliant. 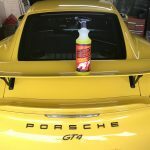 “I’ve been using car-valeting products for over 30 years. My training was with Mercedes Benz, and I’ve seen many products and loved few. I have been testing Clean My Ride for a few weeks now across a few vehicles ranging in mild to heavy soiled. This product does a good job. I have 3 de-greasers in my armoury depending on ability and cost (I use the cheaper ones if I can get away with it and bring out the big-guns when required). The bottle and spray work well. Coverage is not too precise yet doesn’t cover the bodywork when spraying in the engine bay. The colour is unusual but for me this makes no difference as the dirty areas are always dark. The only negative is the lack of foam when agitating. This works really well with light soiling, spray, wash and wipe; perfect for door and boot shuts. After wiping Clean MyRide did not need washing afterwards and I was able to polish straight away. This is a bit of a weird one but if something smells too strong or has a greasy feel you stop using it quickly. Clean My Ride doesn’t. It is pleasant to touch, smell and cleans off hands easily. For tough jobs I use Surfex. It’s a great cleaner and has got me out of a few nasty experiences and I’m fond of it. But it is VERY strong and dries my hands out so I use gloves. I would like to test Clean My Ride on a ‘Barn Find’ to get a proper feel of it’s abilities but so far it does what Surfex does but with less harshness. As I was trialling this product and had not had any ‘heavy duty’ cleans in, I decided to give it a bash on the BBQ (I was told that it would be safe). It did an excellent job! Admittedly this is not what it is designed for so I was not expecting miracles but all things considered it worked-out better than my G101 detergent that I usually use. Cost is paramount. I did seem to use a lot of Clean MyRide but it was a freebie I was testing out. So if the price was comfortable it could replace my Surfex purely on the basis it does a good job without drying my skin. Yes. It does the job well and seems to be kind to my hands and if that’s the case then paintwork will survive too. All in all this is worth giving a go, but like every detailer it’s what suits you and your pocket”.